Select Small - Only 2 available! Medium Large X-Large 2XL - Only 1 available! This is possibly the best hoodie I own. 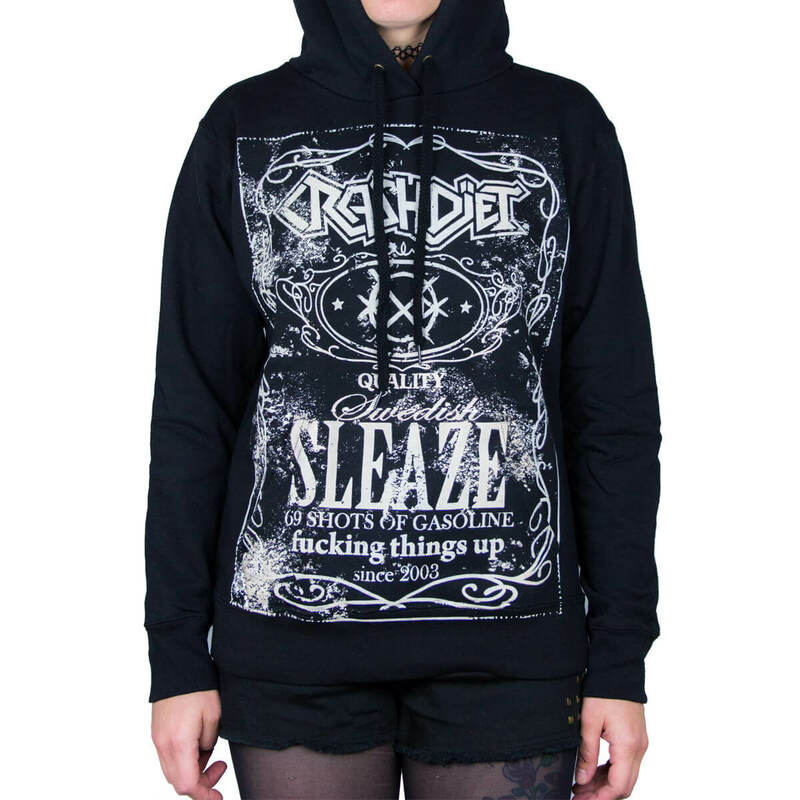 It looks awesome it's comfy as hell and come on guys let's face it..... it's CRASHDIET! !!!! No more be said really. ??? I love this hoodie! It's awesome whiskey design :). I spend this winter with it! I love it!!! This hoodie is perfect! I just love this hoodie! Finally you have one for women :) Its so great, awesome quality and great motive. What was very important for me, is that its warm. And it is super warm and comfortable, and fits perfectally! Its my favorite piece right now! XS 46 cm / 18" 62 cm / 24.5"
S 48.5 cm / 19" 63.5 cm / 25"
M 51 cm / 20" 65 cm / 25.5"
L 53.5 cm / 21" 66.5 cm / 26"
XL 56 cm / 22" 68 cm / 26.75"
2XL 58.5 cm / 23" 69.5 / 27.25"